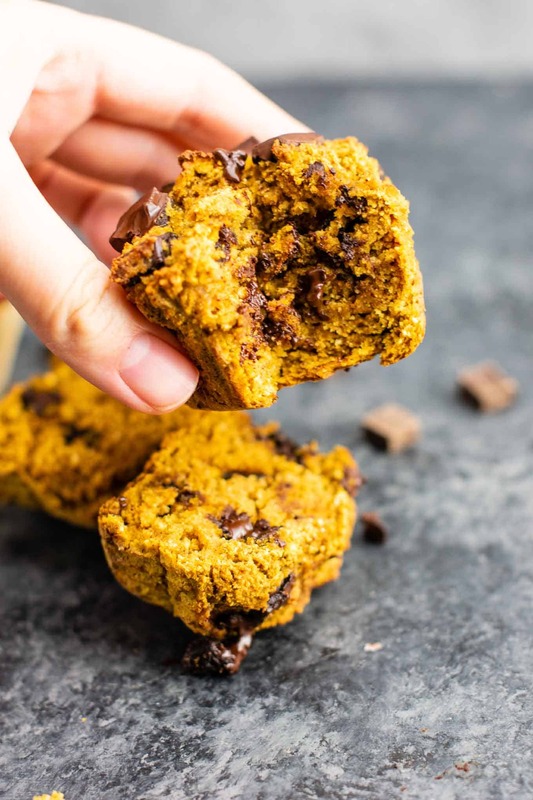 Last year I shared these amazing healthy pumpkin chocolate chip muffins that quickly became a hit recipe. 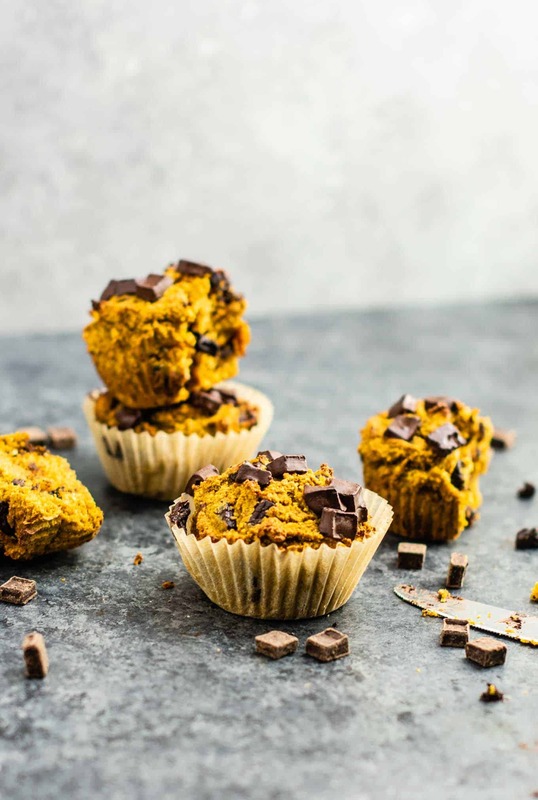 This year I wanted to create an equally delicious pumpkin muffin that was both dairy free and gluten free so that all of my readers could enjoy them. 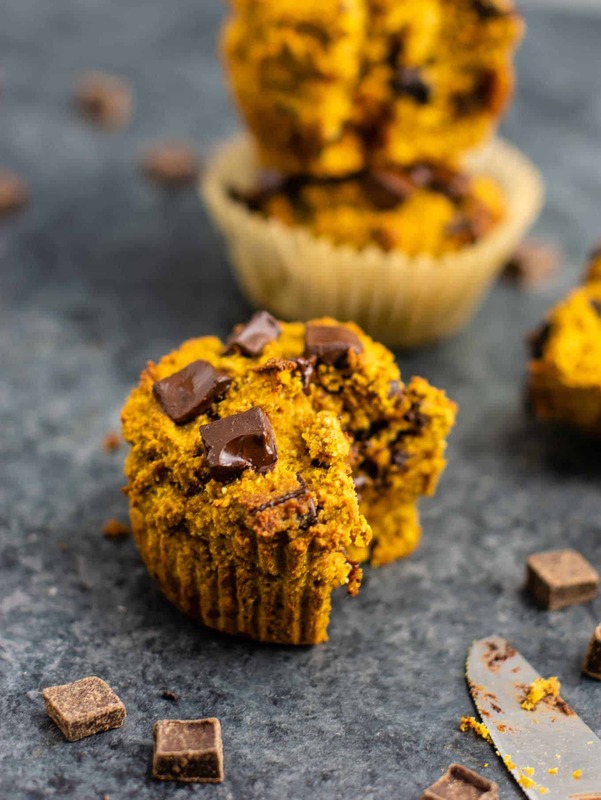 These gluten free pumpkin muffins are the perfect texture, oil free, and so simple to make. You would never guess they are made with healthier ingredients! Add these to your fall baking list! First, whisk together the dry ingredients in a bowl. You will need: oat flour, coconut flour, salt, baking soda, baking powder, and pumpkin pie spice. For this recipe, I used my classic favorite gluten free flour combo: oat flour and coconut flour. They are straight forward – no need to find the exact “gluten free flour blend” that I did. Brands can vary a recipe greatly. They are easy to find and affordable. As much as I would love to bake with almond flour more, let’s be honest it is expensive! I love that I can find oat flour (or make it myself) and coconut flour at my local Kroger. I first discovered this combination in my gluten free chocolate mug cake. It knocked my socks off when I made my first gluten free carrot cake recipe. Then I tried making gluten free chocolate chip muffins. The texture is SPOT ON and whatever I am baking has the perfect texture! In a separate bowl from your dry ingredients, mix together your pumpkin, non dairy milk, vanilla, eggs, and maple syrup. Add the dry ingredients to the wet, and use a rubber spatula to mix until just combined (be careful not to over mix). Fold in your dairy free chocolate chips or chunks. I have mentioned this in other muffin recipes, but my best tip for muffins that never stick is to use parchment paper liners. I found mine at target and they are literally the best thing I ever bought for muffin making! I bought 5 packs so that I don’t run out. The parchment paper makes them come right out without any sticking at all. 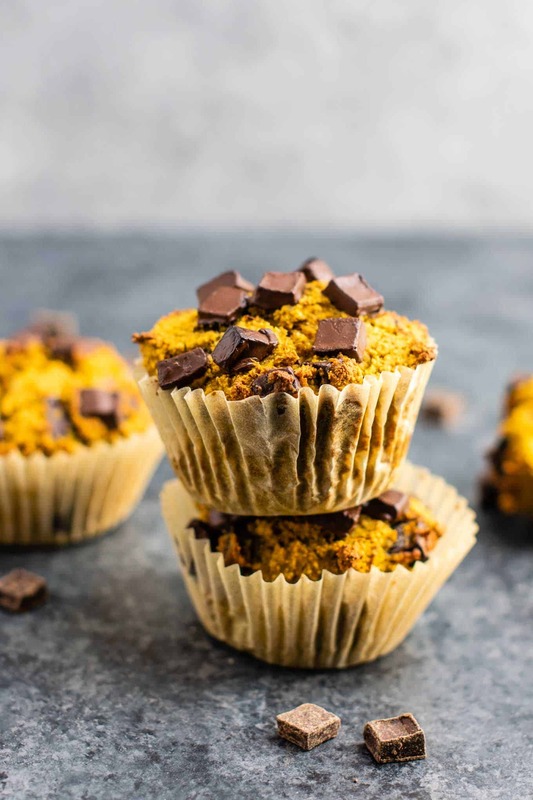 This is perfect for oil free muffin recipes like this one! If you haven’t tried them, I really cannot recommend them enough. Once you have lined your muffin tin with parchment paper liners, distribute the batter evenly into the 12 cups. Sprinkle the tops with chocolate chunks or chips and bake at 425 degrees for 14 – 17 minutes, until a toothpick comes out clean. These were a winner at our house! My toddler even loved them and kept begging for more! 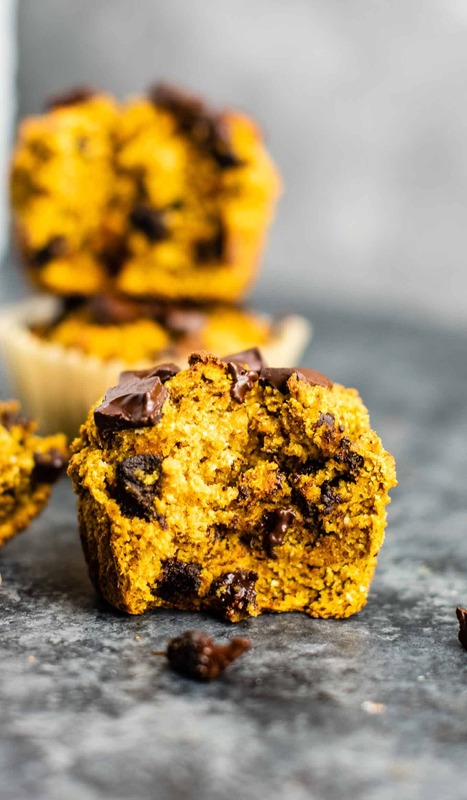 Gluten free, dairy free, and taste like a pumpkin spiced chocolatey treat. Honestly, I love these just as much as my whole wheat greek yogurt version. 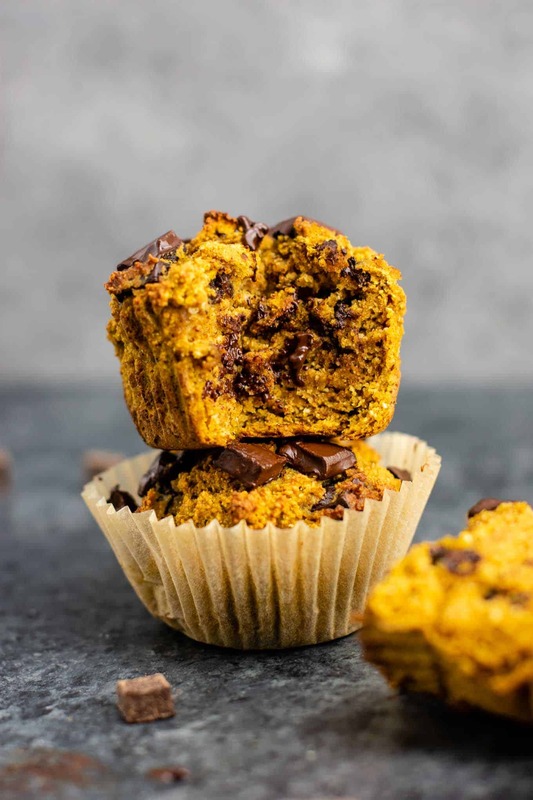 If you’re gluten free or know someone who is, I bet they would love getting to enjoy this fall treat! 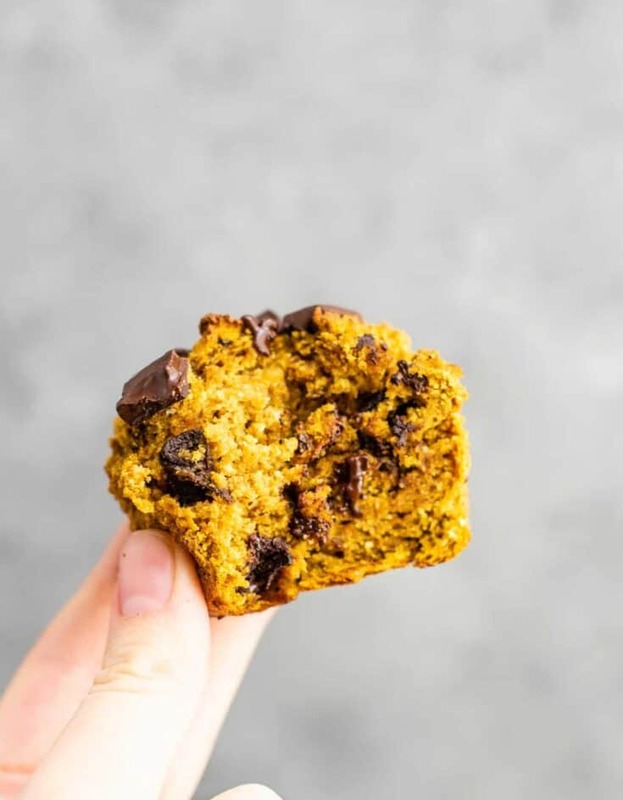 Try these for breakfast, bring them to work for your gluten free coworker, or make up a batch to indulge in a healthy dessert. Fall is here, pumpkin mania is here, and I’m loving every second! Are you making this recipe? I want to see! Be sure to tag us on instagram @buildyourbite and hashtag #buildyourbite! Looking for more gluten free pumpkin recipes? Be sure to follow us on pinterest for all the latest recipes! 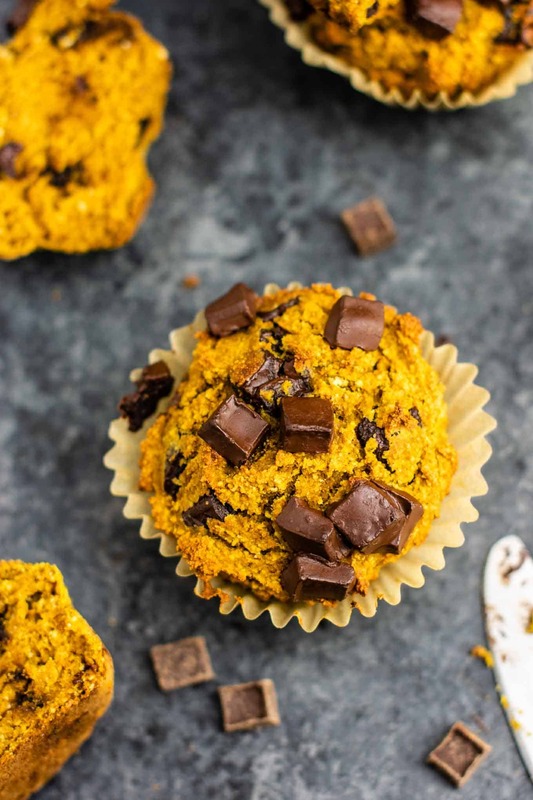 Gluten free pumpkin muffins recipe with dark chocolate chips. I use parchment paper liners so that my muffins never stick. If you do not use these, your muffins may stick, so you might want to use nonstick spray in your liners. These were delicious – perfect texture! Thanks so much! Can the eggs be replaced by chia eggs? I haven’t tested it, but I would think it would work! I know most vegans do this without an issue in baked goods.